Just as quickly, he faded into the shadows at Augusta, making more noise from his tantrums than his game. And now we’re left wondering if he will ever get that fifth green jacket. Just one day is gone since Bubba Watson clinched his first major victory, and with 364 days remaining until players return to Georgia’s Garden, it would be far too soon to peg the winner of next year’s tournament, right? 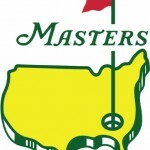 This is the Master’s, the most discussed golf tournament in America. It’s never too early. According to Bet365’s 2013 Masters Betting Odds, Watson is already a 33/1 underdog to defend his title, buried on Bet365’s list behind Woods, Rory McElroy and Phil Mickelson. Those three were favored for this year’s tournament but all faded rapidly one way or another. Woods was never really in it, digging himself into his biggest defecit after 36 holes ever. McElroy made a charge on the second day and was actually second on the leaderboard behind Fred Couples headed into the weekend. Still, Golf Betting Odds are typically centered around momentum and conversation (Woods’ saw the heaviest action of any golfer before this year’s tournament despite failing to win a major in three years). Woods is a 6/1 favorite, followed by McElroy at 13/2. Between the three, it was actually Mickelson who had the best crack at it, charging on the last day before a disasterous par-3 fourth. He pushed his driver into pine straw, chipped out of the same pile of needles twice before failing a flop shot over a bunker. There wasn’t much left to climb back from after that. Watson, meanwhile, went on a huge tear with four birdies over the last six holes to force a playoff with Louis Oosthuizen. Despite playing the second-best major of his career, Oosthuizen bungled the playoff and is now a 50/1 longshot to break through in 2013.